Now you can transform any small recess into a fully-functioning steam room. With this exceptional range of flexible, dedicated steam columns and steam shower columns from Tylo it is no longer in the realms of imagination. 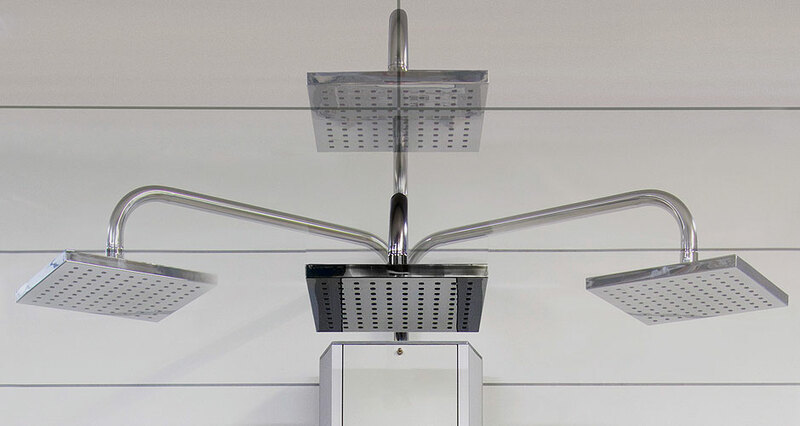 Our remarkable range of Tylo home steam shower columns are incredibly flexible solutions that will easily convert a small space into the perfect steam room or steam shower. Effortlessly turn your small area into a dedicated steam room. Each of the range combines perfectly with Tylo’s range of steam room doors and glass panels for a fully customised solution. 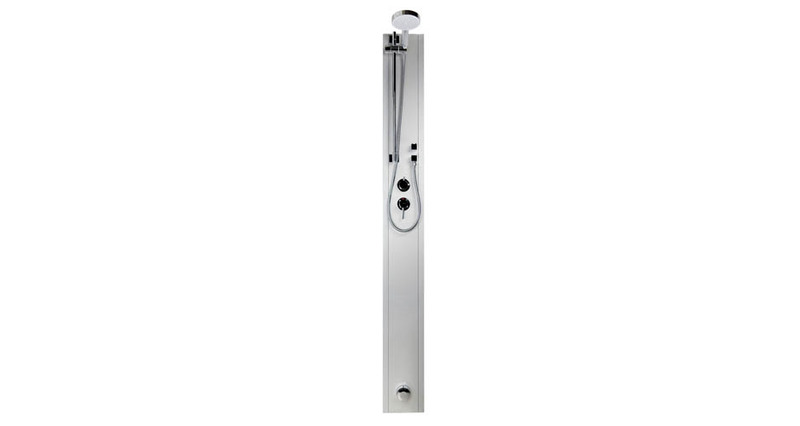 Each steam shower column can be combined with is easily controlled using the Tylo H1 touch-control panel. An extensive range of steam based wellness treatments is now more accessible and much more affordable. 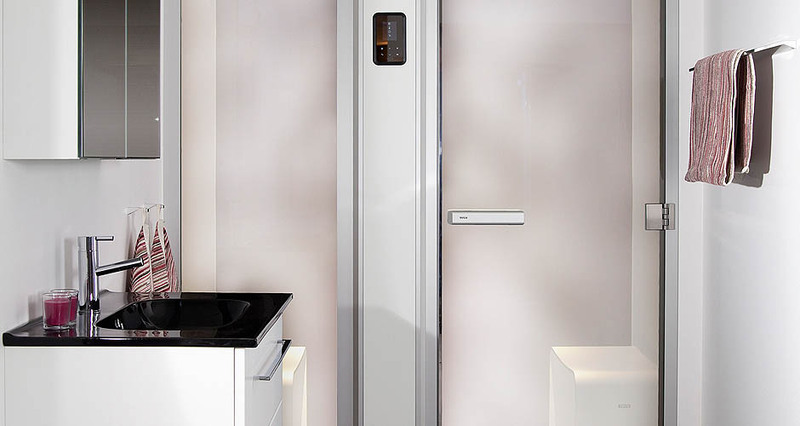 The Tylo T202/g is a dedicated, pure steam column that doesn’t come with a steam shower. This unit is now supplementing the existing range of Tylo steam bath solutions and is ideal for steam lovers who already own a shower unit. It is the perfect way to enjoy a soothing steam bath. As is the case with the entire range you only need to add the glass sections and steam room door to create a fully functioning steam room. 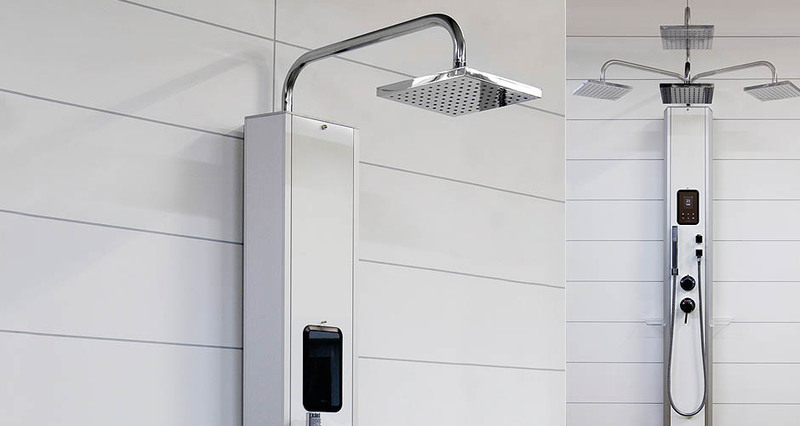 Expanding on the functionality of the T202/g and bringing in a steam unit for shower, the Tylo TX202/g steam shower column is dedicated to transforming your space into a dedicated steam & shower room. The column is easily combined with steam room doors and glass panels to create the perfect DIY steam retreat. 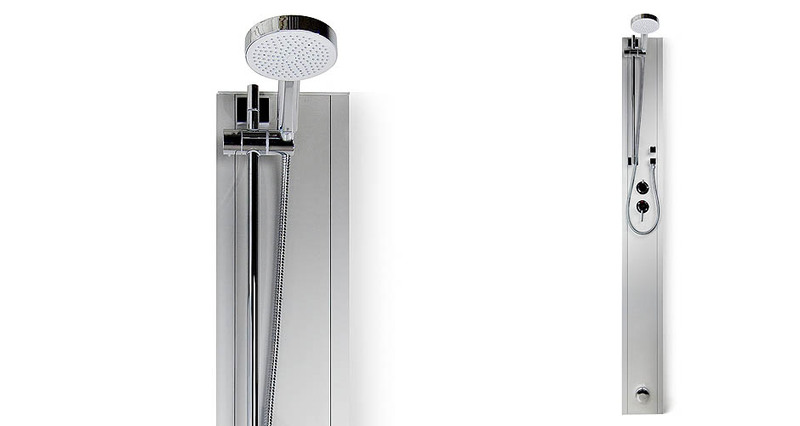 Along with the standard steam nozzle is a fixed / hand-held shower head with control being supplied via the Tylo H1 control panel. Room size 222 mm x 2020 mm. Head shower flexible from 2180 – 1960 mm. Lowest measurement for building: 2140 mm. The all new tx202/w is the latest free-standing steam column from Tylo. 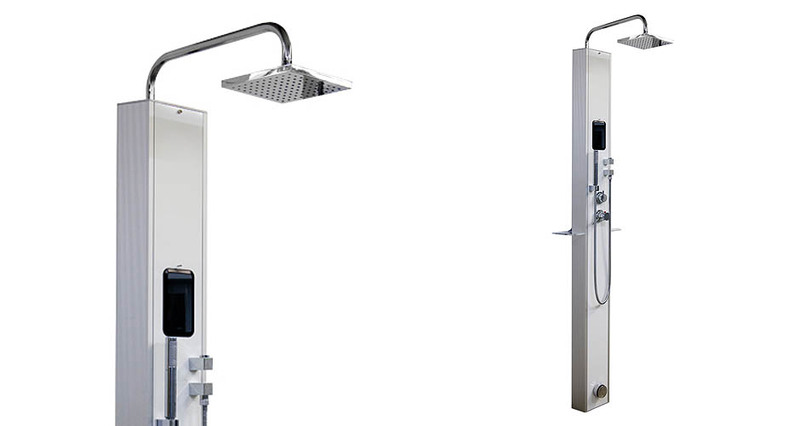 The Tylo tx202/w steam column shower is a dual option unit operating as either a shower steam unit or just steam. This incredible technology has made it possible to convert a small recess into a complete home steam room. This fantastic unit comes with a hand held shower, main sprinkler and steam nozzle, has shelves for Tylo accessories and can be adjusted sideways.